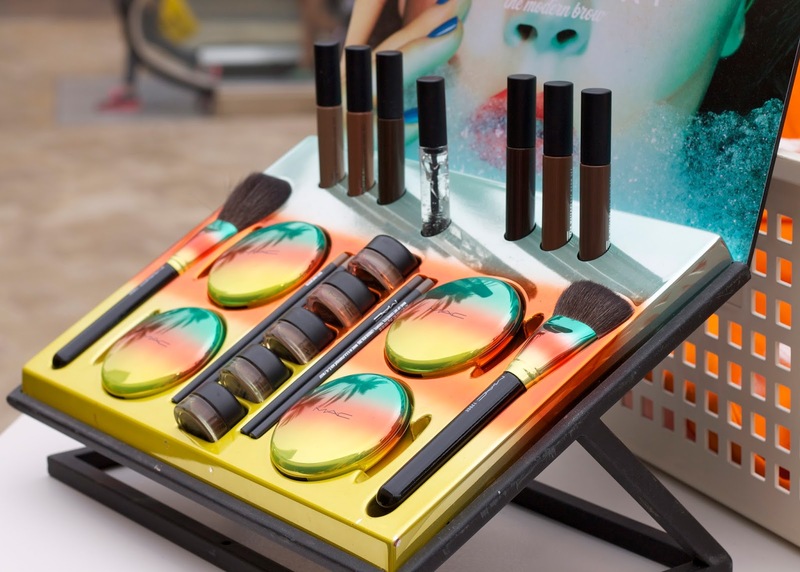 It's officially Summer which not only means Summer clothes and swimwear, but also Summer make up! 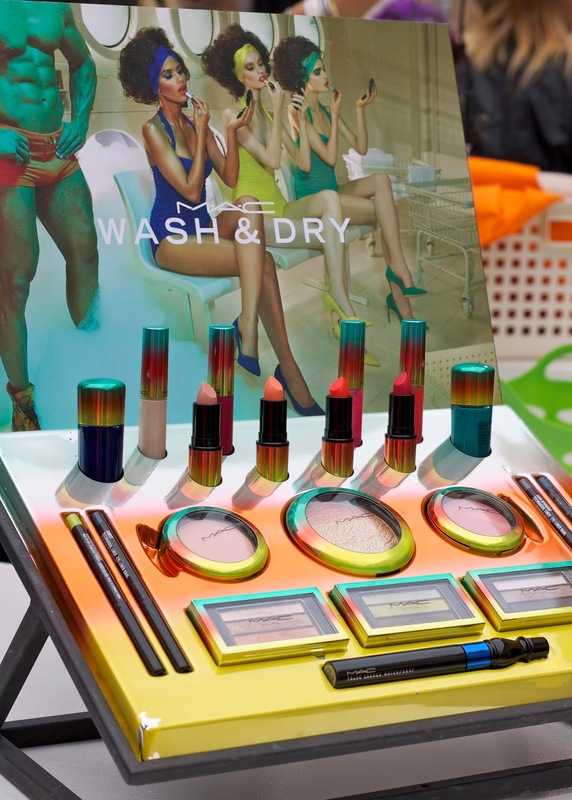 To update my Summer beauty look, I made my way over to M·A·C Fashion Valley to cehck out the M·A·C Wash & Dry collection, which was paired with a presentation that was out of this world! If you follow me on Snapchat you should have seen the footage of the spectacular performance! 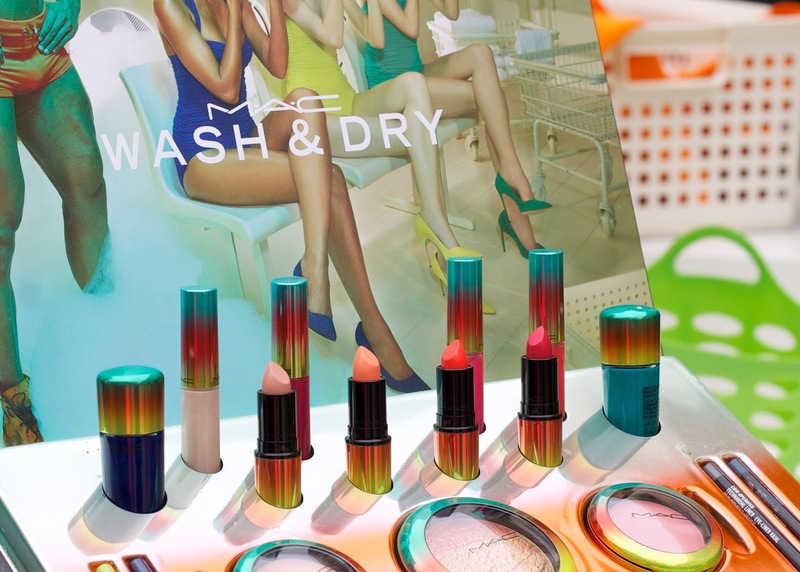 M·A·C Wash & Dry collection: The packaging alone makes me excited for Summer! 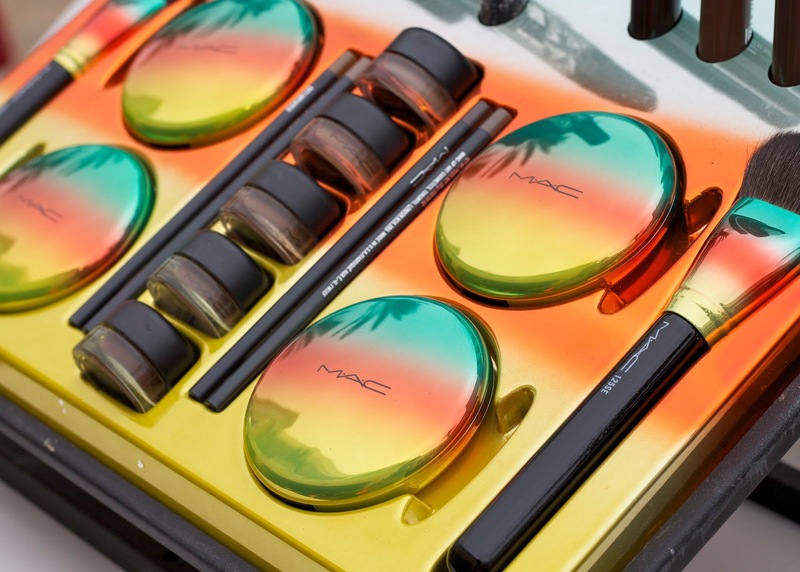 Among my favorites in the collection, the bright lipsticks and gorgeous bronzers that will give me that glow without having to be in the UV rays. I was lucky enough to get a demo from M·A·C Senior Artist John Stapleton who has been a make up artist for over 20 years and has worked with many celebrities. While he was doing my make up, he taught me so many cool tips and tricks, some of which I'll include in this post! John enhanced my brows with both the "Deep Dark Brunette" and the "Clear Brow" set to keep my eyebrows looking groomed throughout the day. He also used the split fibre brushes, where one side is perfect for blending liquid consistency (foundation, make up) and the other side for powder (blush, bronzer)- it is basically a 2 in 1 brush which I became obsessed with! For my eyeliner, he added the Technakohl Liner in "PRACTICE MAKES PERFECT" which is a deep blue-green shade. John gave me this great tip, where he says the blueish eye liners bring out the white in the eyes more than a black liner. For my lips he added "MORANGE" a wild orange vibrant color. 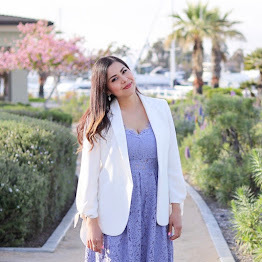 My cheeks were a mix of bronzer and the gorgeous pinkish-peach tones from the blushes. I also liked that he elongated my brows, something I'll add into my routine. Ta-dah, there is my final look and that's John in the pic, make sure to follow him on Instagram! A ha ha super fun shooting! The your pics, heading out tomorrow and may have tp get that lippie!